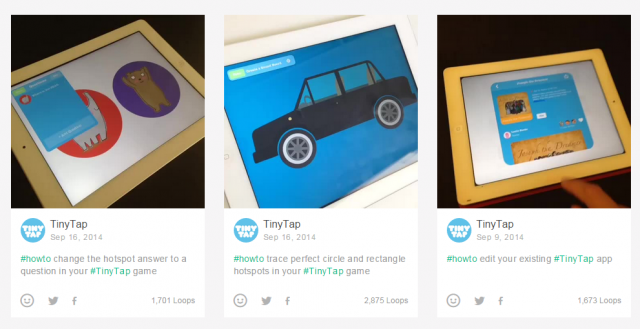 In honor of the National Week of Making, TinyTap wants to improve your creation experience. All week long, we are taking requests of what to add to our collection of video tutorials. Stop scratching your head, wondering ‘How can I edit the text in my game?‘ ‘Can I get updates for each lesson my colleague creates in real-time?‘ or ‘How can I share my finished lesson?‘ Ask and you shall receive! Tweet your request to @TinyTapit and receive your mini video tutorial within 24 hours!